I love hosting my family and friends for every holiday and treating them to a playful set up. 4th of July is all about having fun in the sun, but if the rain comes falling, don't let it ruin your day and have an inside back up plan! 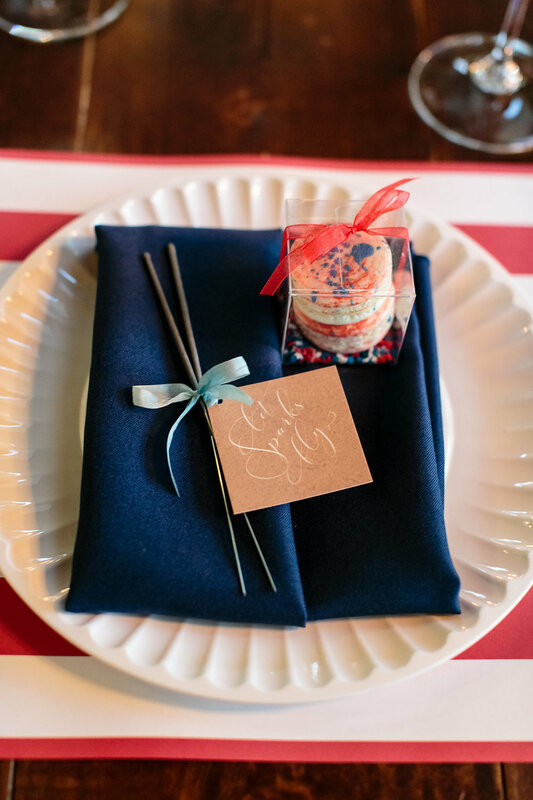 When I think of 4th of July, I think of red, white, and blue, paper plates and sparklers. One of my favorite things to create is a fun cocktail. 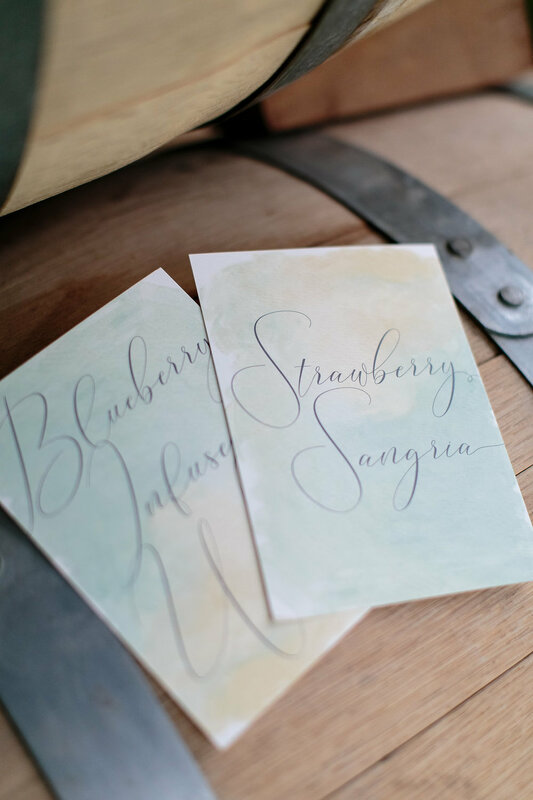 I made a strawberry white sangria to play off of the red, white, an blue theme and of course had to serve the cocktail with a fun american flag straw and fabulous napkin. No party is complete without a favor and dessert. 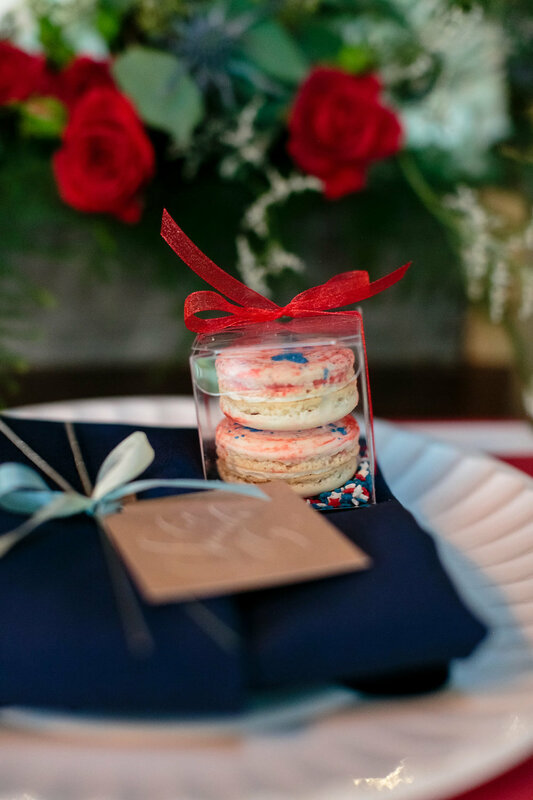 Tiffany with Baked in Nashville is fabulous and created these fun splatter paint red, white, and blue macaroons as a tasty treat. Need help creating your holiday tables, contact me, I would LOVE to help!